With the passing of the new tax bill, everyone wants to know how it will affect them. Below is a summary created by the National Association of REALTORS for current and prospective homeowners and provisions that affect commercial real estate. The new law provides generally lower tax rates for all individual tax filers. While this does not mean that every American will pay lower taxes under these changes, many will. The total size of the tax cut from the rate reductions equals more than $1.2 trillion over ten years. The final bill retains current law. A significant victory in the final bill that NAR achieved. The final bill reduces the limit on deductible mortgage debt to $750,000 for new loans taken out after 12/14/17. Current loans of up to $1 million are grandfathered and are not subject to the new $750,000 cap. Neither limit is indexed for inflation. Homeowners may refinance mortgage debts existing on 12/14/17 up to $1 million and still deduct the interest, so long as the new loan does not exceed the amount of the mortgage being refinanced. The final bill allows an itemized deduction of up to $10,000 for the total of state and local property taxes and income or sales taxes. This $10,000 limit applies for both single and married filers and is not indexed for inflation. The final bill also specifically precludes the deduction of 2018 state and local income taxes prepaid in 2017. When House and Senate bills were first introduced, the deduction for state and local taxes would have been completely eliminated. The House and Senate passed bills would have allowed property taxes to be deducted up to $10,000. The final bill, while less beneficial than current law, represents a significant improvement over the original proposals. 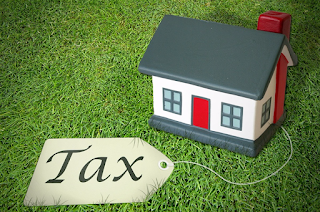 By doubling the standard deduction, Congress has greatly reduced the value of the mortgage interest and property tax deductions as tax incentives for homeownership.Congressional estimates indicate that only 5-8% of filers will now be eligible to claim these deductions by itemizing, meaning there will be no tax differential between renting and owning for more than 90% of taxpayers. 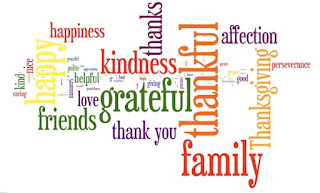 Every year at Thanksgiving as we gather with family and friends, we express our gratitude for various factors in our life. This is the season of gratefulness but practicing gratitude all year has tremendous benefits for our well-being. While you may feel that cultivating gratitude all year is a lot of work, it’s actually very easy. To start, choose a method that works for you. Below are several easy ways to start. The traditional method is to write down three things which you are thankful for at the end of the day. Another method is to write them down as they happen throughout the day. You would be surprise how many times you feel grateful throughout the day and how good you feel throughout the day. Another variation can involve the whole family. At the dinner table, have each family member explain what made them grateful that day. You would be surprise at how connected the family will feel by sharing stories of gratitude instead of complaining about their day. 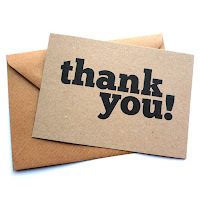 Saying Thank You may seem self-explanatory but often in our busy lives we forget to say it. Everyone has untold stories in their lives that we know nothing about. Acknowledging a person by saying Thank You can provide that spark of light needed. Telling someone Thank You for a small act or for doing a good job, gives a feeling of well-being to the person and to you. It’s very simple but can have a tremendous impact on another person. 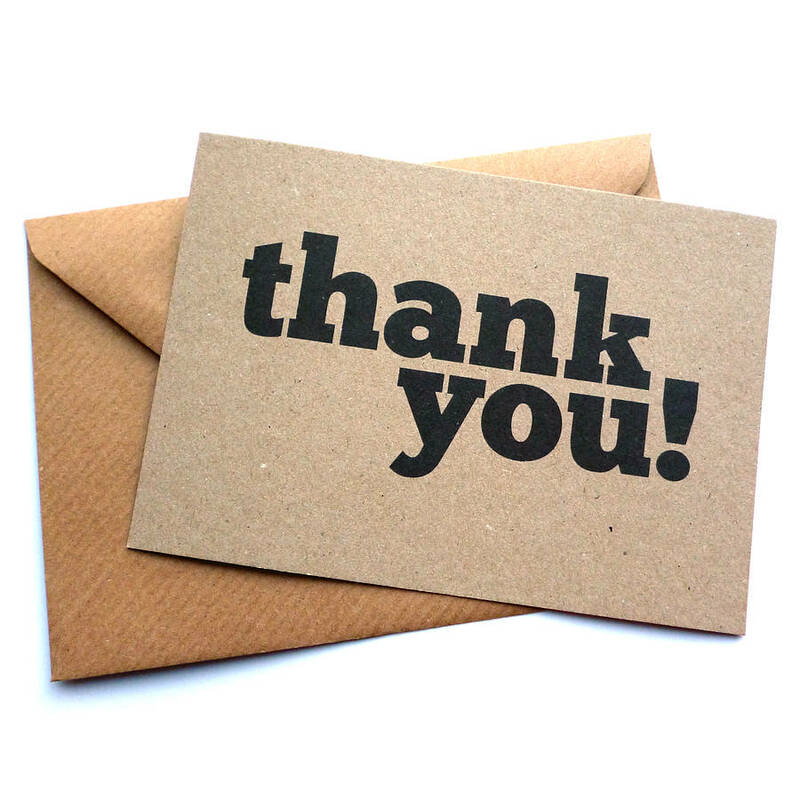 In this age of email, writing out a thank you note is a big deal. It means you’ve taken time to think about the person you’re thanking and adding a personal link to that person. The recipient will know you took time and effort to send a heartfelt thank you. Everyone has someone who has inspired or positively influenced them. If possible, write a letter or call them to tell them how much you appreciate them. If the person is no longer living, write a letter anyway. Just the act of writing that letter will influence your feeling of gratitude. Remember any small act can have ripples that reach into the future. Someone will some day tell you how much they appreciate your influence in their life. Everyone is stressed nowadays. Instead of focusing on the day-to-day stresses in your life, start looking at the positives. Instead of complaining about the pile of work you need to finish, tell yourself how grateful you are for your interesting job or your coworkers. Or if you’re running ragged taking your kids to practice, running errands and then going to a holiday party, tell yourself how thankful you are for your family and friends. Instead of looking at the negative, spin a positive thankful mindset. You’ll find that over time, it will feel natural and your life will be more enjoyable. Many studies have proven that gratitude provides various health benefits. · Gratitude helps to relieve stress and to overcome trauma. Studies have shown that gratitude has helped with PTSD and for people who experience trauma, such as mass shooting, gratitude improved their resilience to recover. 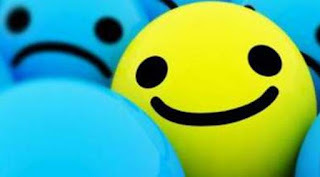 · Gratitude improves psychological health. Be grateful replaces negative feeling like anger and resentment. Gratitude also increases happiness and reduces depression. · Gratitude improves overall health. People who exhibit more gratitude have less aches and pain and improved physical health. · Gratitude improves your sleep. Focusing on gratitude doesn’t leave much room for worrying. Many people don’t sleep well because they’re focusing on problems or what may happen. Instead focus on gratitude and you’ll sleep soundly. · Gratitude improves self-esteem. By focusing on being thankful for others and the accomplishments of others, you improve your own self-esteem by not comparing yourself to them. · Gratitude improves your connection to others. Gratitude opens your heart to others and helps you build stronger relationships, especially with new acquaintances. People are more likely to be attracted to you and your positive feelings. Renovating your home can be stressful but hiring the wrong contractor can make it a nightmare. Before hiring a contractor do some research to ensure you have the right contractor for the project and for you. Remember though that following all the right steps doesn’t mean you won’t have some problems, but it can help to alleviate some of the issues. Before talking to a contractor, clearly define what the project will include and what results you expect. If you’re unclear, do some research on the internet to find out what aspects of the project you need to consider. Make a list of what you expect and what type of materials you want used and present this plan to the contractor(s) when asking for estimates. In California a licensed contractor is needed for any project that is valued at $500 or more including materials and labor. Even though your project may be under $500, it’s recommended you hire a licensed contractor anyway to save headaches later. You can check on any licensed contractor through the Contractors State License Board (CSLB). Depending on the project, you can hire a general contractor, who can hire subcontractors specializing in plumbing or electrical, or a specialty contractor if your project is plumbing or electrical work only. The best source for finding a reputable contractor is to ask for a referral for family or friends. Ask them what type of project the contractor did and if you can see it. Ask them what they liked and didn’t like about the work and the contractor. Besides referrals, use other sources as well. Research contractors online through various online sites such as Angie’s List, homeadvisor.com, and even the Better Business Bureau. Check your state licensing site for any complaints against contractors. · Have you completed other projects like mine? · Do you have a list of references/clients I can contact? · Are you licensed to work in my area? · Do you carry insurance for workers compensation claims, property damage or personal lability? Most contractors will happily answer these questions and be impressed that a client would be interested in asking them. However, if a contractor starts to hem and haw or refusing to answer, move on to another contractor. If possible, get at least 3 estimates that include cost and a timeline. 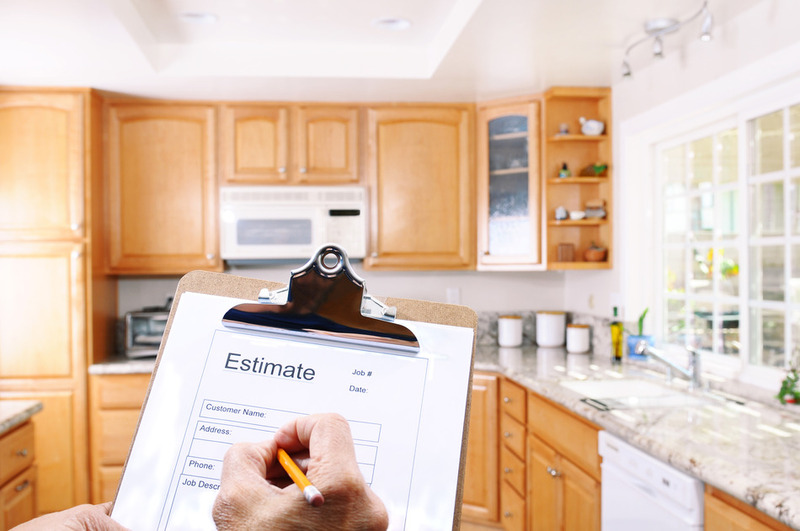 Be careful of estimates that have high costs or low costs. Do your own research on material costs so you have an understanding of what the real costs. If the timeline is too short or too long, move on. Some contractors are so busy, they may not be able to start your project right away, but if the timeline is reasonable and you’re willing to wait, consider them. However, if the contractor wants to start right away with a timeline that is too long, move on. On the other hand, a timeline that is too short means the contractor is not able to do a thorough job for you. Don’t be afraid to negotiate costs. However, wait until you’ve chosen a contractor but before you actually sign the contract. Contracts are usually written by lawyers in legal jargon that most people don’t understand. However, it’s important to know what you’re agreeing to, especially with major remodeling projects. If necessary, have a lawyer look over the contract. If the contractor doesn’t provide a contract, write one up yourself or have your lawyer write it up. Also allow some leeway for changes. It’s difficult to predict every scenario when starting a project; for example, the contractor may start remodeling your bathroom and discover mold in the walls. This will require an expert to come in and remove the mold before proceeding. Or the cost of materials or appliances may go up. Make sure the contractor provides a change order if anything needs to be adjusted after signing the contract. 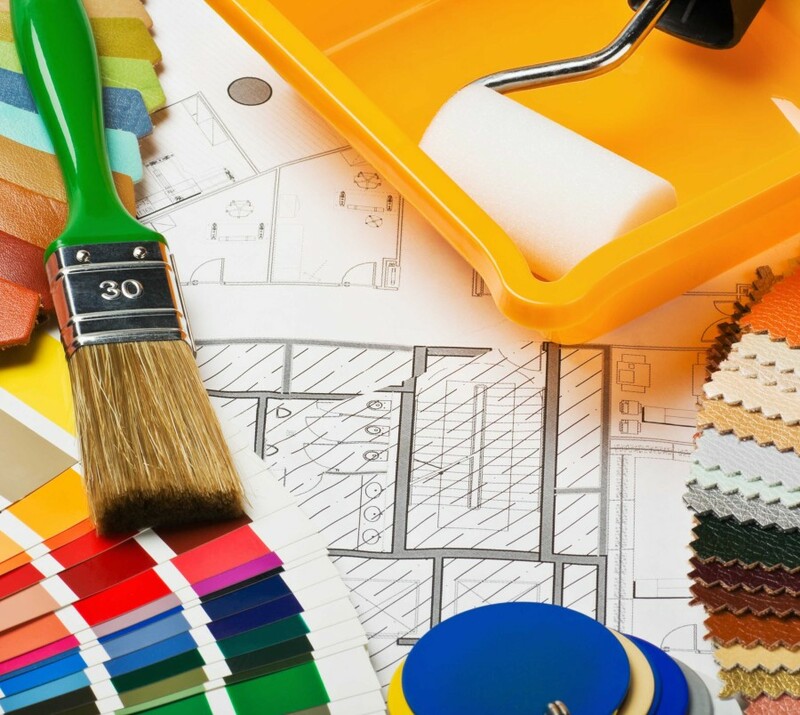 Permits are needed for almost all remodeling projects. Make sure the contractor is knowledgeable and able to explain to you what permits are needed for the project. Also, the contractor should get the permits, not you. Besides breaking various local ordinances, you will need to prove any remodeling projects were completed with approved permits when you go to sell your home. You can also be fined for completing work without a permit. First, don’t give more than 10% of the project cost as a down payment. After that work out a payment plan with the contractor. The contractor will need to buy materials and pay the crew as the work progresses, so you will need to provide some money on a reasonable timeline. However, do not pay 100% of the project until it’s completed. This includes all finishing touches and clean up. Negotiate daily start and stop times, how much notice you’ll get, which bathroom the crew can use, what needs to be cleaned up at the end of the day, etc. For large projects, you may talk to the contractor every day. Speak up right away if you see a problem. It’s easier to fix something right away instead of waiting until the end of the project and after the contractor has moved on to the next job. Finding the right contractor is not easy but with a little work, you can find one that fits your needs and is reputable. If the contractor you found completes the project to your satisfaction, let your network know. You can build a relationship with this contractor through referrals and now you have a contractor you can trust for the next project.